It’s been said that that good things always come to those who wait. For a dog named Capone knows that idea all too well. 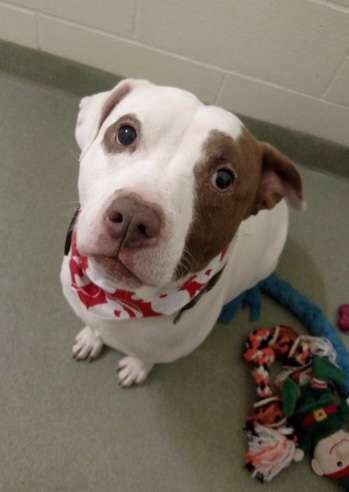 The dog, who is a seven year old Staffordshire terrier mix, has lived at the Ionia County Animal Shelter in Michigan for a long time. So long, in fact, that he watched every other dog in the shelter leave and go live in their forever homes. Then, he was the only one left at the shelter. 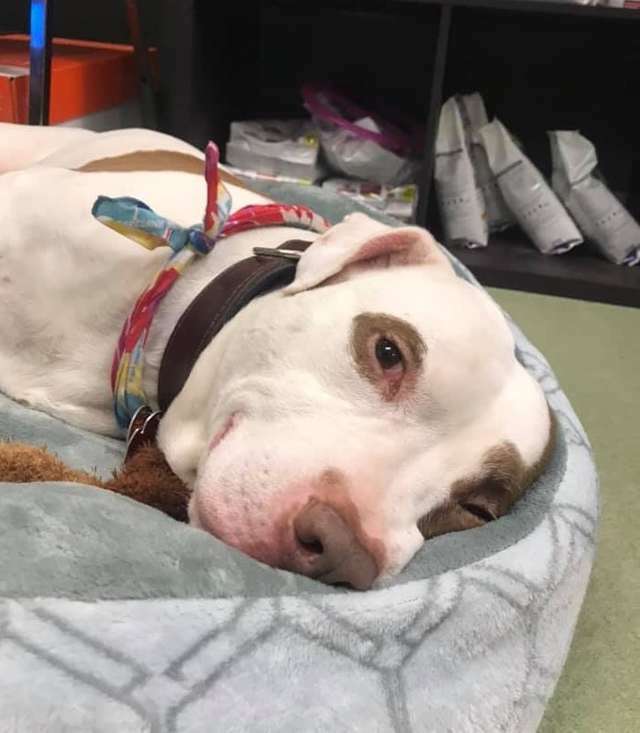 The staff said Capone was the only one left in the shelter for some time and he was so sweet and quiet—they couldn’t figure out why he did not have a home yet. 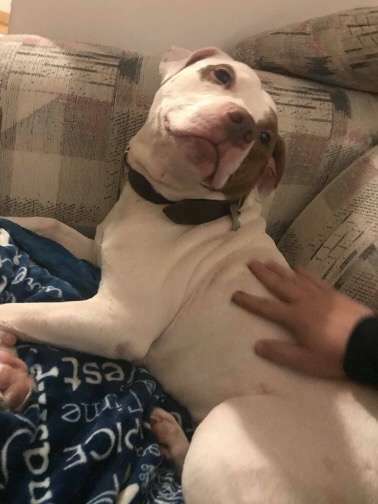 Capone had actually been adopted once back in 2017 shortly after arriving at the shelter. But he was returned not long after because he got into a squabble with another dog. When he returned, Capone was so devastated and devastated that he stopped eating. He lost weight and just wanted to stay in his kennel and sleep all day. 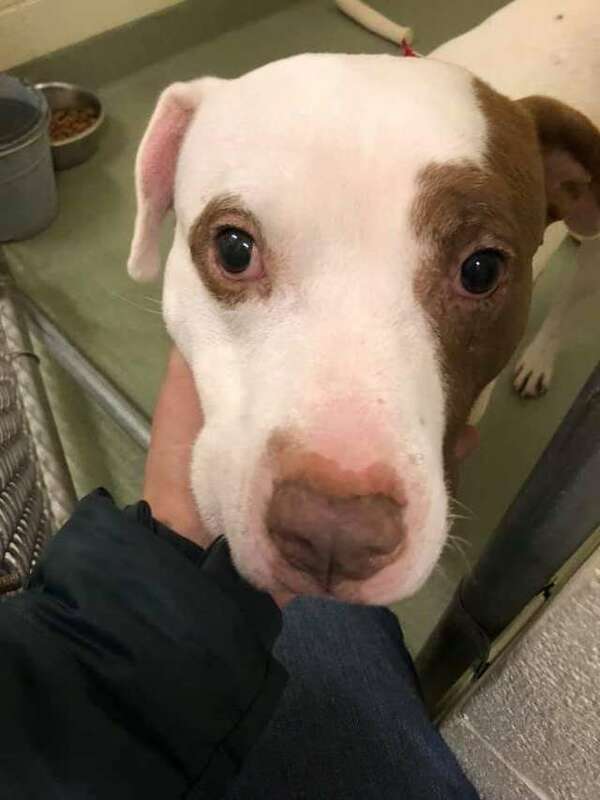 Capone was just heartbroken over the situation and it took time for him to learn to trust humans again. The staff call him a “Velcro dog” because he just loves to be near his person, glued to their side. Capone needed to be in a home with no other dogs and being older it was tough to find the right home for him. 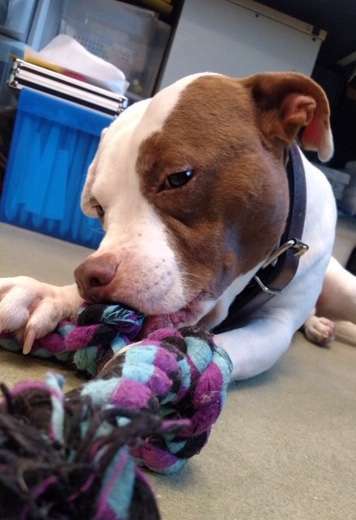 Staff posted his photo on social media hoping someone would fall in love with the sweet dog. A couple named Jon and Ashlee sent a Facebook message to the shelter, saying they wanted to adopt Capone. 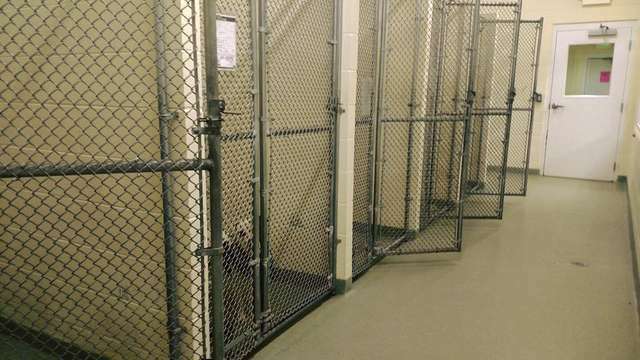 They visited the facility and as soon as they knelt down to say hello, Capone came running to them. 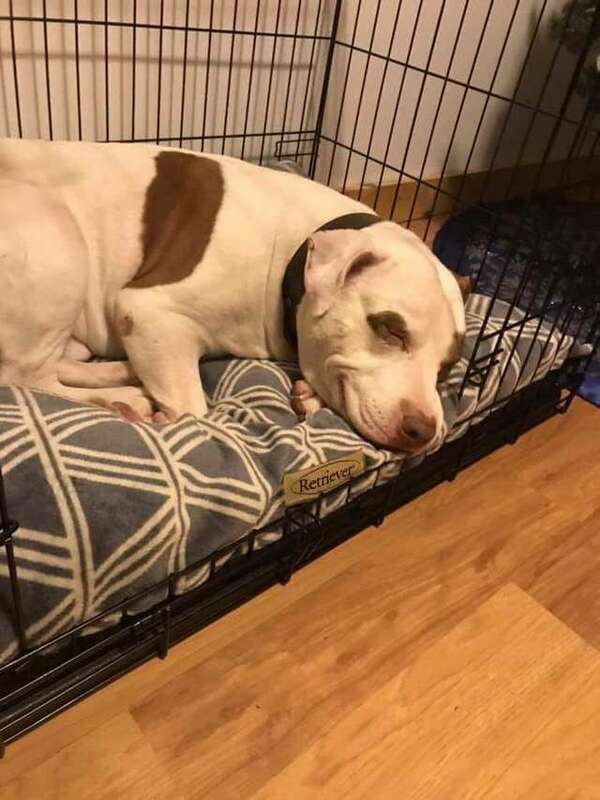 It was a perfect fit and Capone went home to his forever home—and promptly fell asleep on his bed with a big smile on his face.